To be honest, as insightful as Zayn Malik's Billboard cover story is, it also unearthed facets of his personality that were probably better left in the dark — or better yet, back in the 1950s. 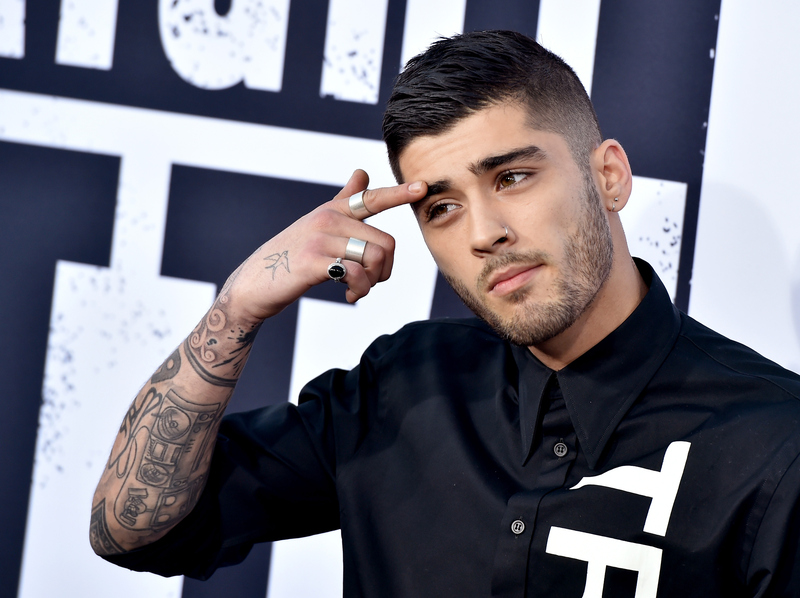 Because in addition to shedding some light on his new music, the reasons life was so tough with 1D, and revealing that he's not really friends with the rest of One Direction anymore, Zayn Malik also made some sexist remarks — and completely insulted and stereotyped his fans in the process. After the Billboard reporter asked the singer what he's learned from his fans about "the challenges [women] face," Malik uttered sentences that should pretty much never be said again. I mean, not only did he make it perfectly clear that he doesn't understand fandom, he's also completely stereotyping and coming across as completely out of touch. "I was raised by a lot of women, so there’s nothing any fangirl could’ve ever taught me about any woman," Malik told the reporter. “I fully understood every person who’d come and see the band, because I have crazy aunties and crazy sisters who would fangirl over actors. If people can’t have something, they want it." While I would pretty much just let this comment speak for itself, there is just too much to discuss here to let it go. Like the fact that he is entirely closed off to learning anything about sexism in our society because he thinks he knows all that he needs to know because he has sisters and a mother. Like the condescending reference to "any fangirl," because clearly a fan is just a screaming banshee and doesn't have any actual thoughts in her head or any experiences about being a woman that could actually teach him something. Like the baffling remarks that he "fully understood every person" who ever saw One Direction in concert because the only reason fans see them is because they're thirsty for some guy they could never get in real life. Malik reduced every fan's nuanced passion for the band to something not only entirely sexist, but also something incredibly stereotypical. To boil down a fan's interest in a band to "OMG THEY'RE CUTE" — not even considering the fact that this "fangirl" obviously appreciates the music and finds joy and passion in the artist's live show (and the many, many other factors that would make someone a fan of a particular band) it's an entirely unfair, offensive, and false stereotype. I mean, Malik's statement here even caused the reporter to refer to him as an "average bro." And when his words about fans come on the heels of stating that his ideal woman would be able to "construct a sentence beyond what hair and makeup they’re wearing and talk about something political or about the world," it puts his viewpoint of his fans into context. It certainly paints a bigger picture of how Malik seems to view women — reducing them to an incredibly outdated and sexist stereotype — and it is something he should probably work on. It might help to start with acknowledging fans' opinions or experiences at all.